As a Disneyland newbie and having only run during Disneyland Half Marathon Weekend, I was VERY curious about how it differed from Tinker Bell Half Marathon Weekend. Kim has run both events and put together a comparison of the two weekends! 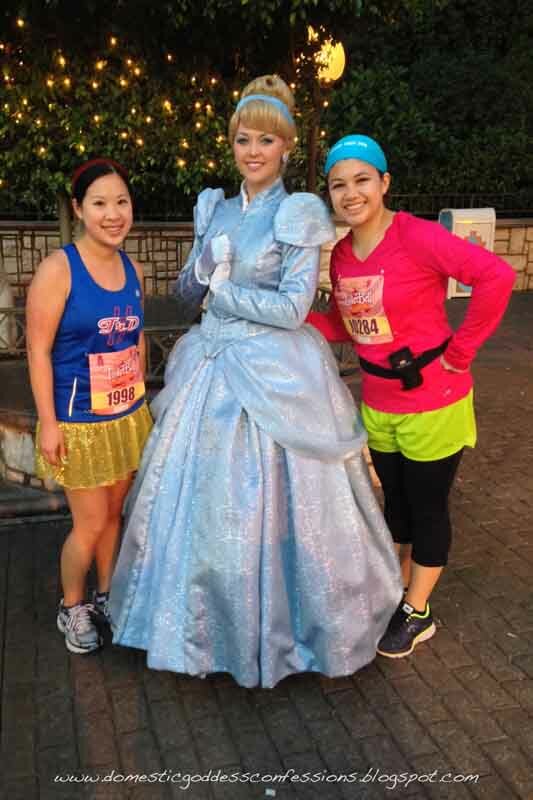 This is also a great time to check out the different courses since registration opens today for the 2014 Disneyland Half Marathon Weekend, so hopefully this will help you make the decision to register. I had the great opportunity to run the races at the Tinker Bell Half Marathon Weekend at Disneyland. 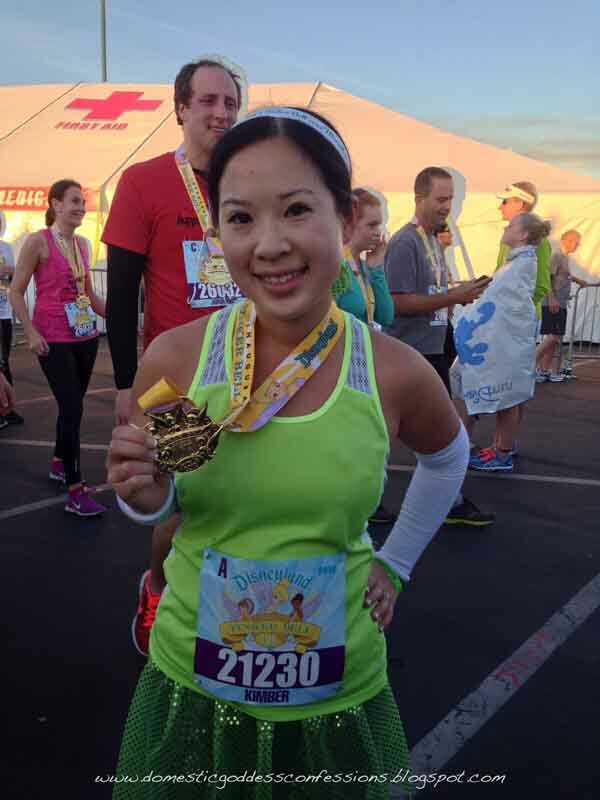 This was my first time running the Tinker Bell events (in it’s third year), but I’ve run the Disneyland Half Marathon over Labor Day for the past three years. This past year, the Dumbo Challenge premiered at Disneyland: completing both the 10k and half would earn you a special Dumbo medal (if you registered for the challenge). Tinker Bell weekend did not offer a challenge, but I still opted to run both the 10k and half. What can I say? I love the bling! Having done the Disneyland 10k and half, I was eager to see how the Tinker Bell 10k and half would compare. The Tinker Bell weekend is a women’s focused event and off the bat it was very apparent. The 10k and half shirts came in a women’s cut (yay! ), though unisex sizes were available. I did see quite a few men sporting the lavender 10k and raspberry half shirts over the weekend! The expo official merchandise had mostly women’s shirts, though there were some unisex styles. 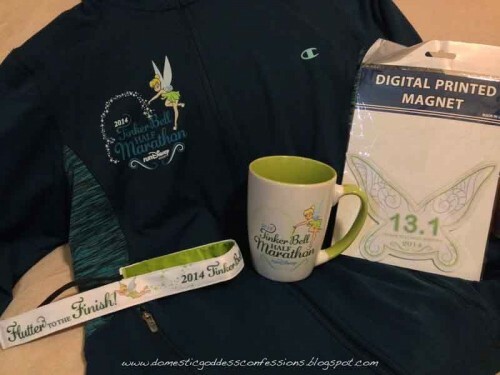 Overall, the expo from the Disneyland Half had a lot more merchandise, especially with the Dumbo Challenge apparel, but the Tinker Bell expo was much more organized. I spent two hours in line in September just waiting to pay for my items. At Tink, I waited maybe 20 minutes to get into the official merchandise area where they kept the crowds down. After I chose my items, it was only a few minutes to pay. Much more enjoyable! Onto the more interesting parts- the actual races! 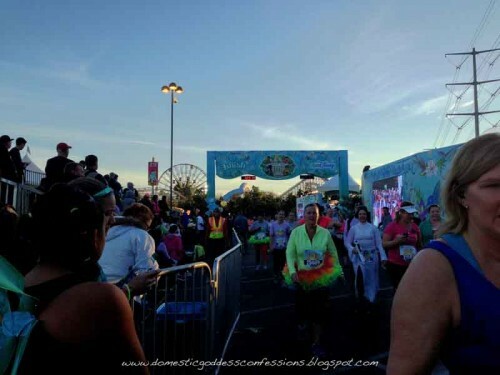 The Tinker Bell 10k started at 6am on Saturday morning. It was still dark out as the race began. I started in corral A- my first time! The course starts out heading north on Disneyland Drive before heading into the back area of Disneyland. It takes you out to It’s a Small World, which is absolutely gorgeous with all it’s holiday twinkling lights. This was by far the highlight of the race for me! We headed through Toontown and into the back areas again. By mile 1.5, we were back into Disneyland by the Rivers of America. 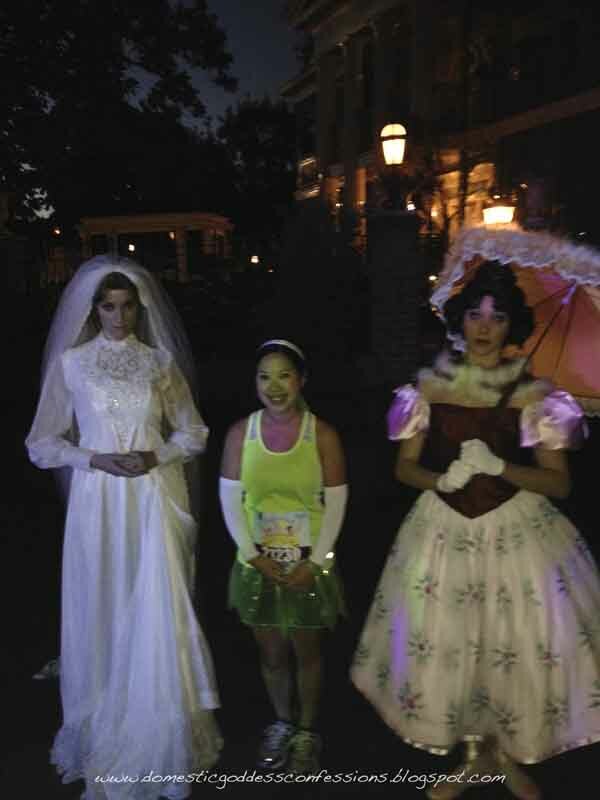 The Bride and Tightrope girl from the Haunted Mansion were out and I had to take a picture with them. My first photo stop with characters during a race ever! We took the back road behind Big Thunder Mountain and through Fantasyland. The course went around the Matterhorn, through Tomorrowland and out into the hub before heading down Main Street. 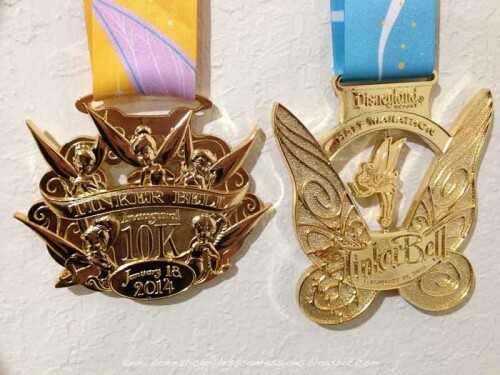 Something major to note: the Tink 10k course does not go through Sleeping Beauty Castle, unlike the Disneyland 10k. There’s a great photo op in front of the castle, but it’s not quite the same as running across the drawbridge. We crossed the esplanade and headed through the gates into California Adventure. Miles 2.5 to 4 wound us past Soarin’, the Grand Californian Hotel and around Paradise Bay where the World of Color fountains and lights were on. At mile 4, the course headed out onto the streets of Anaheim. We ran north on Harbor Blvd and made a loop around that big block of all the hotels. I’ve stayed in almost all the hotels along Harbor, so the area was very familiar and went by pretty quickly. Soon it was a quick trip on Katella and then back into the Simba parking lot for the finish! 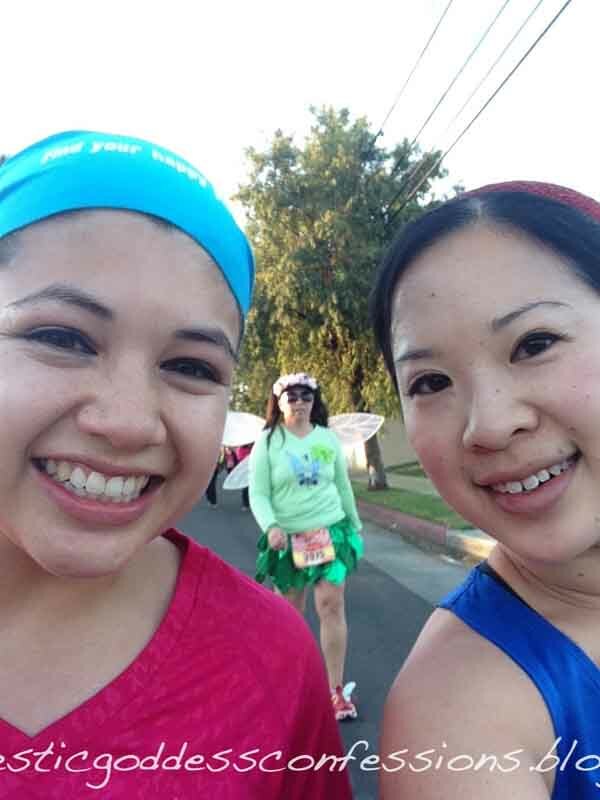 Overall, I enjoyed the Tinker Bell 10k at lot more than the Disneyland 10k. During the Disneyland 10k, I was a bit bored at the beginning of the run while we ran through the Anaheim Convention Center. Although we didn’t get to run through the castle, I feel that the Tink course was better. I like that we ran through the parks first- the adrenaline really made those last 2 miles fly by. 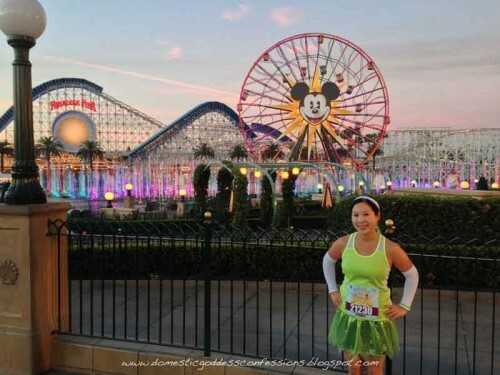 The Tinker Bell Half was Sunday morning at 5am. I have to admit, waking up between 3:30-4am for 3 days in a row was almost as hard as running the half marathon itself. I don’t know how the Dopey runners did it! 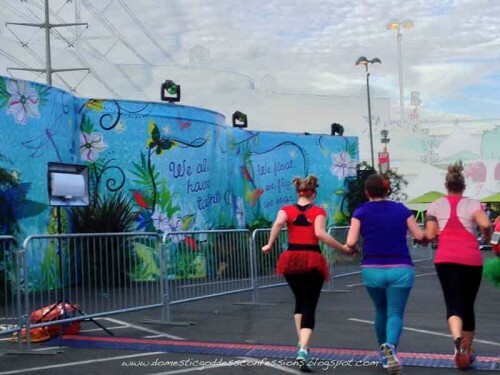 I ran with two of my friends, both running their first runDisney event, so we started in corral E. The course brings by making a giant circle around the parks before entering California Adventure via the back area behind Tower of Terror. 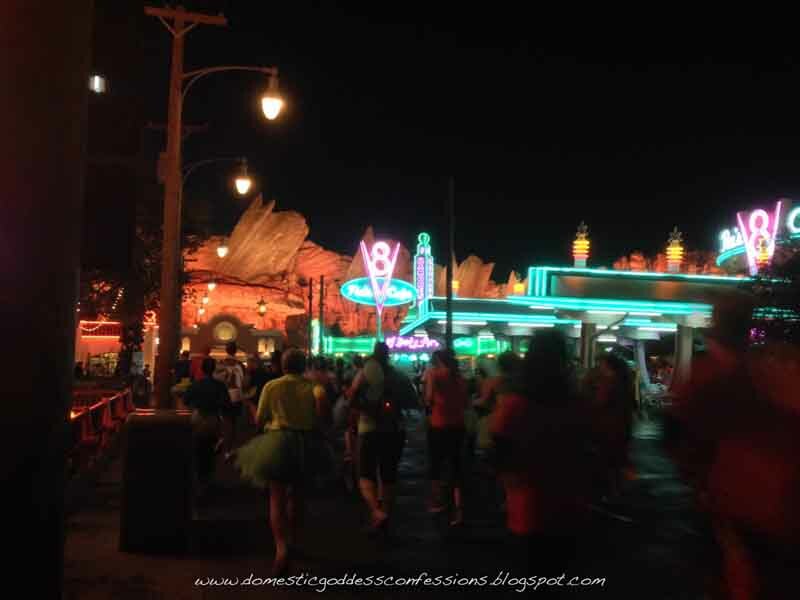 We headed through Cars Land down Route 66 towards the mountain range. The World of Color fountains and lights were on again, so we stopped for a quick photo before heading towards Buena Vista Street and across the esplanade into Disneyland. We ran down Main Street and through the castle into Fantasyland. The path to Small world, or Princess Row as some runners call it, only had two princesses out- Rapunzel and Cinderella. Mile 5 took us through Downtown Disney. 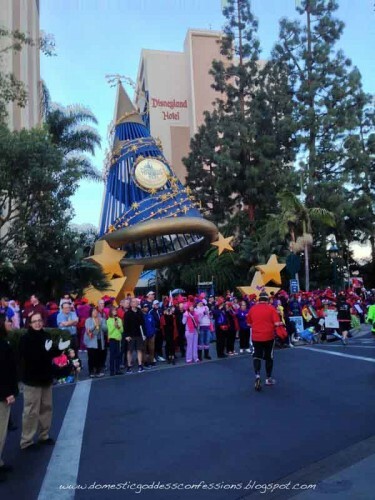 When we reached the Disneyland Hotel, the Red Hat ladies were out in full force. They have so much spirit so early in the morning! From there we were out on the streets of Anaheim. It was nice to know that we were pretty much half way done! We passed through residential areas; there were even signs that said “Shhh, neighbors are sleeping.” A few curious residents sat out on their lawns watching all the runners. The next two miles led us back to Disneyland and the area behind Cars Land. I always get a giggle out of seeing the metal-framed backside of the Cars Land mountain range. It wasn’t long before we were passing the Paradise Pier hotel and crossing the finish line in the Simba parking lot. 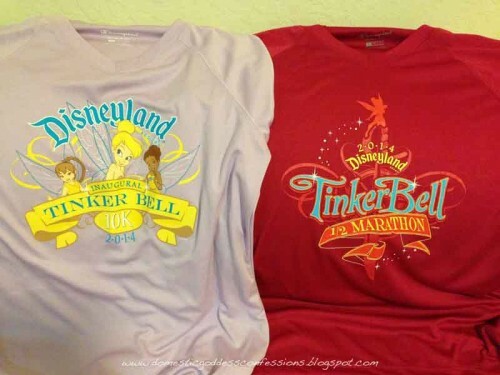 The Tink half and Disneyland half courses are very different. 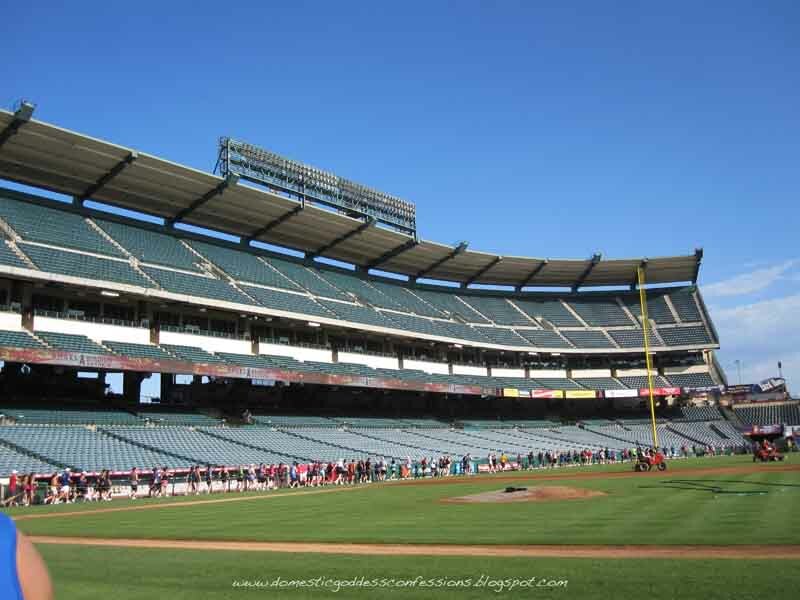 One of the biggest appeals about the Disneyland half is that it runs through Angel Stadium. 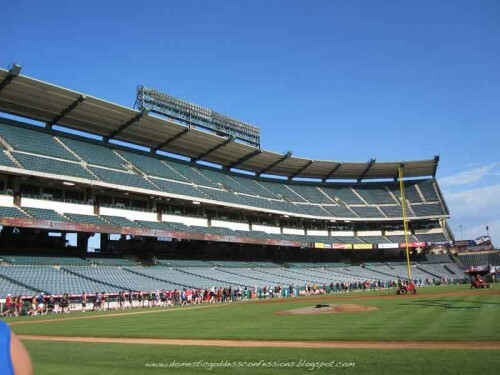 Not everyday you get to run inside a baseball stadium! Unfortunately, the roads leading up to the stadium and back to Disneyland are surrounded by boring industrial areas. Personally, I preferred the Tink course. I loved the extra miles inside the parks, the holiday lights for It’s a Small World and the overall women’s focus of the weekend. There was a strong sense of camaraderie, even amongst strangers. It was the perfect race for my girls vacation! Hi, I’m Kim! A Disneyland fanatic since birth, I try to visit as often as I can. I was never an athlete, but started running to lead a healthier lifestyle. 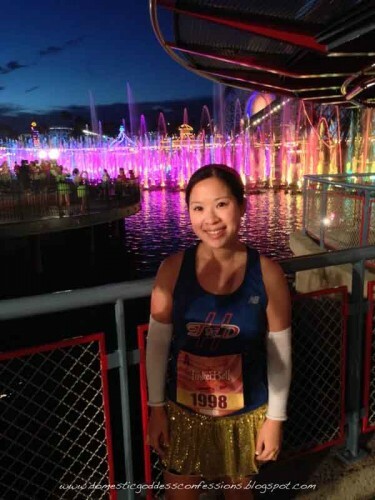 My first race was the Disneyland Half Marathon in 2011 and I have been addicted to running Disney ever since. 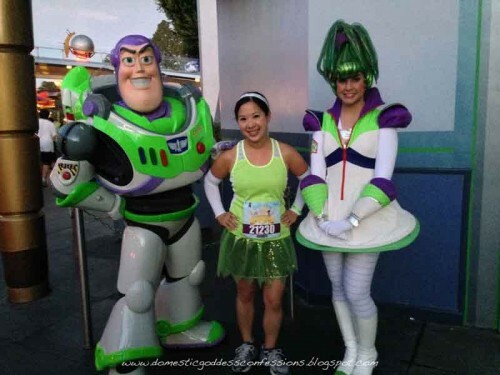 I’ve completed 4 half marathons so far and am planning to run my first full at WDW in 2015. Registration Opens Today for the 2015 Disneyland Half Marathon Weekend! 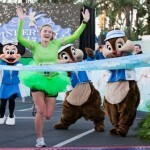 Contributors Needed for Tinker Bell Half Marathon Weekend! I ran the Tink Half the Inaugural year (not sure how much they changed the course) and did like it better then Disneyland Half. But, I also don’t mind boring courses because I tend to zone out while racing and the boringness doesn’t bother me! 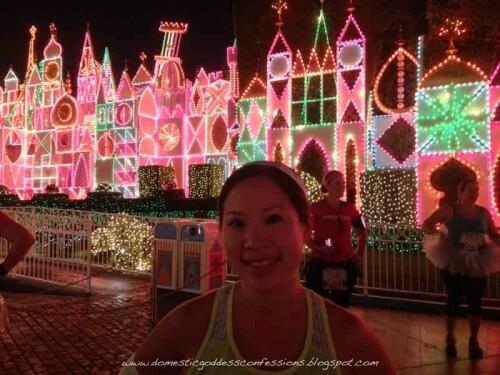 Congrats Kim – love the Haunted Mansion photo stop! Awesome recap, Kim!! 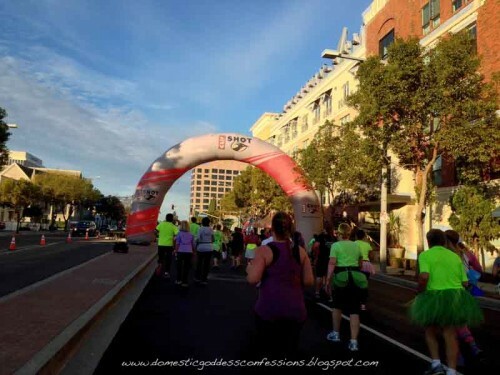 I watched some of the 10Ker’s finishing up on Saturday morning on my way to Downtown Disney – sad I missed seeing you come in! I agree, the Tink Half course was fantastic, and all the spectators were just outstanding! Any guesses as to when registration for the Tinkerbell Half 2015 might open? My guess would be sometime in October or November. It will be interesting to see if anything changes with Tink with the change in date. Great recap Kim! !